People have always been curious about the design and manufacturing of Timex watches. 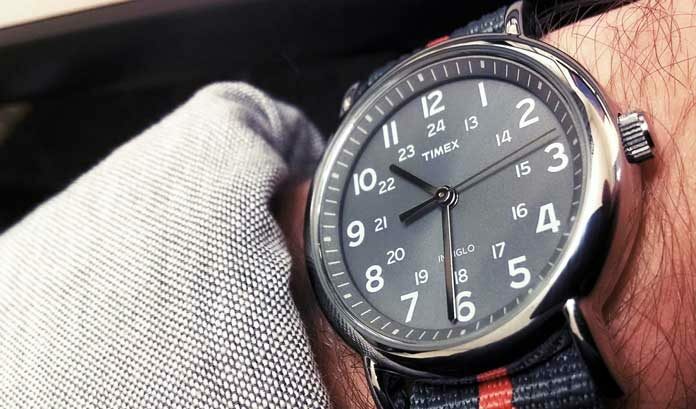 Timex was founded in 1854 and is now globally recognized as Timex Group. Its design is unique and the quality is by far the best in the market. It is also one of the largest watch makers in the world. Timex Group became the pioneer in timekeeping by using the most efficient resources in the most effective manner. Their first clock and wristwatch was produced through data integration- from classic designs to the modern look, Titan Group has evolved through the ages. It is an American manufacturer company known for bringing the first ever digital watch in the market. In 1854 Connecticut based brass manufacturer Benedict & Burnham started Waterbury Clock Company where they manufactured clocks using brass and gears. Today their only successors who are still present in the market are Titan Group. During the 1st World War as per the requirements of the soldiers, Waterbury designed digital clocks. It helped them to calculate and read time while they could use the gun at the same time. In 1930, after the great depression, the company had to rebuilt its reputation and recognition. Thus, an agreement with Walt Disney was made and Mickey mouse watches were launched in the world fair at Chicago in 1933. Waterbury Clock Company received the Army Navy “E”award in 1943. After this, the company was renamed as United States Time Corporation. In 1950, during the Korean war, sales decreased and low costing articles were introduced by Lehmkuhl, the President of United States Time Corporation. The durability of the watches was enhanced by using a hard alloy, armalloy. The name Timex was first used in 1945, on a shipment of watches as a trial. Russ Alben created a tag line for Timex watches, takes a licking and keeps on ticking. Newer and newer commercials were being made like, related to dolphins, jackhammers, dishwashers, paint mixers etc. With development of newer technology of quartz and digital watches, and competitions from Hong Kong and Japanese cheaper watches, Timex needed transformation, which came in 1980. During that era, aesthetics and quality of articles mattered a lot. Thus, the quality was increased and efforts were made to enhance the looks. Gold plating, water resistance, better battery life, better accuracy and precision were the areas that were taken care of. Introduction of quartz was achieved and this helped a lot in reduction of time and overall cost. In 1993, reunion of timex and disney occurred and was named as Disney’s Classics Collection. In 1994, Timex Data Link was introduced after they got nautica watches license. In 1998, beepwear, a pager was introduced with the collaboration of timex amd Motorola. The company was glorious in 2005 and now they also designed watches for the topmost brands in fashion, like Versace. TX was launched in 2006, a new brand by Timex. In 2008, Timex group USA was introduced and a business unit was set up. Today, the quality products are manufactured in Switzerland and the Far East. They have the best designing and luxurious quality. Ajeet sharma is a review and price compare content writer, who love to compare and buy branded watches online.